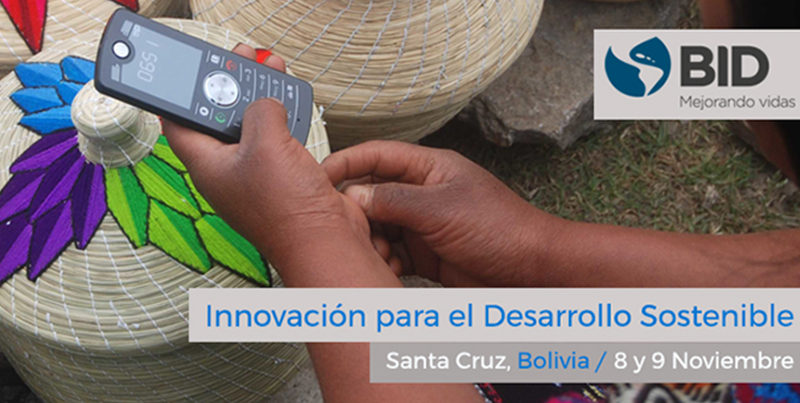 Innovation and Diversity for Sustainable Development. Civil Society Representatives of Latin America and the Caribbean will meet on November 8th and 9th to share experiences and get to know more about Sustainable Development in the Region. Join us and Participate! On November 8th and 9th 2017 in Santa Cruz, Bolivia the IDB Group will hold the XVII IDB Group – Civil Society Regional Forum with Civil Society Organizations from the region. The IDB promotes sustainable development by working with Governments, the Private Sector and Civil Society in Latin America and the Caribbean. Civil Society Organizations are a relevant partner for the development agenda in the Region. The organizations interested in participating in the XVII IDB-Group Civil Society Society Forum in Santa Cruz, Bolivia must register by completing the registration form. Registration is open until November 1st, 2017. The event is open to all civil society organizations. Participants: Click here to register before November 1st 2017. There will be no registration fee to participate. Note: By registering using this form, I authorize the Inter-American Development Bank (IDB) to take pictures or shoot videos during this forum, which can be used for non-commercial purposes, publications, promotion or dissemination relative. By this means the Bank obtains rights record and free distribution of the Appearance of Participating in in its productions. The event is open to all Civil Society Organizations (CSO) of the Region . The event has no registration fees. The IDB will cover the breakfast, lunch, coffee breaks and a cultural reception on November 9th for all registered participants. Average temperature is around 21°C to 35°C (66°F y 93°F). It has a warmd and humid weather. However we suggest you check this website prior your travel. Spanish is the national language of Bolivia. However, both the event and touristic places offer french, spanish, and other languages. Most of the information will be given or displayed on screens provided for that purpose. We encourage participants to print the minimum amount possible of documents and paper. It is advisable to be cautious to prevent incidents. For instance, use the safe-deposit box of the hotel room to keep documents and valuable goods; do not leave photos and video cameras in plain view, and take only transport properly identified or recommended. Each participant is responsible for travel and health insurance against theft or personal accidents. We recommend taking travel insurance. Every participant is responsible for covering their own transportation. For security reasons, we suggest the use of taxi services located in the airport and in the hotels. Casual attire is recommended for the conference, and business or sport attire for the social events. Remember that the temperature in the conference rooms may vary. For information regarding visas please check official website where you can fill this form and know the full list of countries who need a visa. Visa procedures may be delayed for different reasons. Should you require a visa we suggest that you initiate the formalities as soon as possible. The IDB will not be responsible neither assume expenses related to visas procedures. The vacinne for yellow fever is neccesary to access Bolivia. Please visit this website for more information. Civil Society Organizations will have the opportunity to share experience and lessons learned, know better practices and methodologies in development topics for the sustainable growth of the Region. The XVII IDB Group-Civil Society Meeting will have plenary sessions focusing on the topics to be addressed, allowing attendees to deepen participation, provide inputs and network with other participants from the Region. Plenaries: Exposures of IDB Group specialists, academy experts, and civil society. Ideaton: Space to generate innovative ideas on development topics for sustainable growth. Fericon: Knowledge Fair with stands of 26 countries and their work related to Innovation for Sustainable Development.